Horseback riding is a fun activity that people across the globe enjoy. It is not only fun activity and a great hobby but there are also many other benefits attached to it. You can get many physical, health and psychological benefits by this simple activity. In this blog post, I’ve narrowed down these benefits and compiled 5 benefits of horse riding that you should definitely know. These benefits are related to physical health but if you want to learn about psychological benefits of horse riding, please click here. Horseback riding is a perfect exercise that helps you stay healthy and fit. It doesn’t matter what your age is. I’m sure that you already know the importance of exercise and its role to keep you healthy. If you like to do exercise in a natural environment while you can enjoy nature, then I would suggest that the horse riding is perfect. You can do it in the morning or in the evening or whenever you want. It will help you to enjoy the nature and the ride. If you have never done horseback riding, then this is the right time to start. There is no specific age limit for horse riding and anyone can do it anytime. Some people say that while horse riding, it is only the horse who does all the work. Well, if you ask this question from an experienced horse rider, you will never get this answer because they know how important the role of a rider is. It is similar to the role of a driver while driving a car. A rider plays an active role in horse riding. If you do horse riding then I’m sure that you already know this but if you don’t then let me tell you, keeping a proper balance while horse riding is very important. There are specific poses that help you keep your balance while horse riding. Your posture has to be improved while you are in the saddle but when you are not in the saddle, even then regular horse riding will help you improve your posture. Keeping a good posture is very important for your health. People who keep good postures enjoy good health and horse riding lets you achieve this. Another benefit of horseback riding is that it tones your muscles. While horse riding, you use many different types of muscles including pelvic muscles, core muscles, and inner thighs. These muscles are toned when you go for horse riding. It also improves the flexibility of your muscles because these muscles are highly involved in the horse riding activity. This helps you stay healthy and fit. This is a perfect workout for you and doctors even say that this exercise is similar to a weightlifting exercise. Pelvic muscles, core muscles, and the inner thighs are not only muscles that are involved in the horse riding. Muscles of your other body parts such as those of arms and legs are also involved in this activity. These muscles help you communicate with your horse properly and do some work out as well. Another most important benefit of horse riding that most of the people don’t know is that along with being a perfect physical exercise, it is also a perfect mental exercise. When you spend your time in horseback riding, not only you learn about this amazing creature, but you also learn a lot about yourself. Horseback riding allows you to become more confident in yourself by handling a huge animal properly. Horseback riding relaxes you and calms you. The experience of riding a horse soothes you. Personally, I enjoy horseback riding become I think it makes me closer to nature and it makes me appreciate what I have and the beauty of this world. It helps you focus on more important things and reduces anxiety. 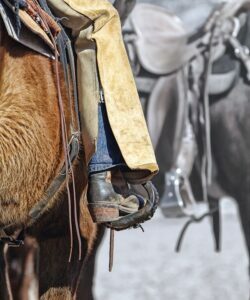 When you are riding a horse, you focus more on the riding and making the riding experience better. For the time being, you forget all your worries and enjoy what you do. This is something that I love about horse riding. You form a beautiful connection with a horse and learn how to take care of him. It teaches you empathy, love, and care which are the most beautiful feelings in this world. Horseback riding is not as easy as it sounds. You have to be physically and mentally strong to handle a horse. It requires strength and understanding. Only a person who can take charge can handle a horse and ride it properly. This activity is not for faint hearted people who are scared of taking charge. When you are riding a horse, you need to tell him where to go and how to go. You need to stay focused and in charge. It helps improve your reflexes and body movements. You develop strength if you regularly do horse riding. This strength not only helps you during riding but also helps you in other areas of life. Once you are strong enough to handle a horse, you are strong enough to handle other situations as well. In this blog post, I discussed 5 benefits of horseback riding that you should know. These benefits are only a few among many. If you are planning to learn horse riding but are reluctant due to any reason, these benefits should motivate you to take a step. Horse riding has numerous benefits and is a very fun activity to do. Whether you are looking for a good exercise to tone your muscles and stay fit, or you are just looking for a good hobby to do in your spare time, horseback riding is the answer. Go for it! It sure got my attention when you said that horseback riding requires the use of muscles that we never knew existed and so it’s helpful in toning pelvic, thigh, and core muscles. I will definitely mention that to my sweet boyfriend, after all, it was his idea that we should try an outdoor adventure for once. I was thinking about how hotter he will become if his muscles were a bit more toner, and now, I realized how I can make that happen. Thank you! I’m excited! I was in my Health and P.E. class and we were studying our muscles and I found the exact muscle that was always sore when I hadn’t done lessons in a while, my adductors would always be sore and it hurt to walk. Ever since I was a little kid I have wanted to try horseback riding and I am thinking about getting myself riding lessons for my birthday! 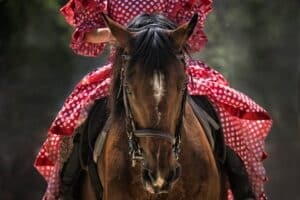 I am glad that I found this article because I had no idea there are so many physical benefits of horseback riding like the fact that it is great exercise! Plus, the fact that it would give me a chance to be outside and enjoy nature while getting fresh air would help my mental health as well.